In just the last couple weeks Stobby's blog following has increased from 1 to 27 (I love you all!) 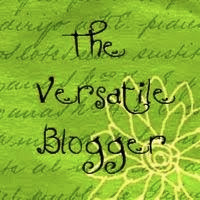 and I've been nominated for two blog awards, The Versatile Blogger and Liebster Blog, from several different sources. As grateful as I am for the nod, I'll admit that I won't be accepting any of these nominations although I'm humbled by them. Some of the conditions, like passing on the award to 15 bloggers or 5 bloggers with less than 200 followers, have been a bit daunting. I just started the blog three weeks ago and of those blogs that I follow, some have too many followers to qualify and/or have this award already. But. In the spirit of the awards, I would like to thank those that have nominated me and share some random facts about Stobby. Notes fromInnisfree is written by fellow Canadian Susan Barclay who blogs about random snippets of life and writes both children and adult fiction. ruth.the.writer is written by Ruth Hartman Berge, an American who writes about short stories on Palm Beach County and South Florida. She also posts fascinating historical narratives. east.bay.writer is an anonymously written blog that focuses on the art of writing and the writing life. Callie Leuck is a professional writer whose blogs focuses on the writing world. She writes for several genres. WB Terrien writes children and adult fiction and blogs about the daily musings of life. Hello, fellow Canadian and Campaigner. I also hate cleaning lettuce. Thank you so much for your kind words here about my blog. I appreciate our comments on the blog itself, too. The feedback is so important.